I start my morning here in Japan the same way every day: by cleaning out the drain trap. Not very pretty, I suppose, but I’ve learned the hard way that it needs to be done frequently and well. The drain traps here in Japan are metal mesh to prevent food from going down the drain. They get gross very quickly. I’m pretty sure I started out my days when I lived in the US with a cup of coffee, which seems quite glamorous by comparison! In spite of our gains in education or employment opportunities over the last century, much of our time as women gets taken up by mundane household tasks like this. Women all around the world are doing the same kind of things: laundry, food preparation, cleaning, child care, though in very different ways. It makes me curious. How much of your time gets spent on “daily chores?” What kinds of things do you need to do every day? Do you do them alone, or do you have help? Perhaps it is a boring topic, but for comparison I thought I would share a little bit of what housework is like here in Japan. Laundry gets done daily in most families. We have washing machines, but most people don’t have dryers. In a country with cold winters, humid summers, and a rainy season, keeping up with the laundry feels like a daily battle! When the weather is not cooperative, laundry gets hung from curtain rails or any other overhang that can be found indoors. We have to bob and weave our way around the house. Imagine that Catherine Zeta Jones movie, but with laundry instead of lasers. I do the shopping most days as well. This is quite common here in the greater Tokyo area, where storage space is limited and many people do not have cars to allow buying in bulk. Milk is sold by the liter; laundry detergent in 500ml bottles. The biggest shopping challenge is buying rice, which comes in 5 or 10kg bags. I need to dust and vacuum every day. This is much more often than we did in the US growing up. I’m not sure why Japan is so dusty. Could it be the tatami floors? The single pane windows? The small living space? And more important than why, how can I make this dust accumulation stop? Like most families here, we have a gas stove-top, a rice cooker, and a microwave combined with an electric oven for cooking. My mother-in-law has a separate gas burner that can be placed on the table for doing things like sukiyaki or okonomiyaki, foods that are consumed as soon as they are cooked by the family from the same dish. My children are still a bit too small for me to attempt this at home. I think many of us around the world are doing these same things, but the nitty-gritty of how we get it done and how often we do it are different. I can’t help but wonder what housework says about the values of the culture. What kinds of things are included in your daily duties? How do you feel about doing them? 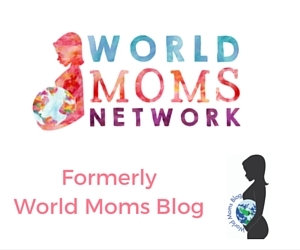 This is an original post to World Moms Blog from our writer in Japan and mother of two, Melanie Oda. The image used in this post is attributed to the author. Interesting topic…now let me see…. Daily, I do dishes and the older boys dry them; I do at least one load of washing and mostly hang that out on the line, then it has to be brought in and put away, I put away mine and the little fella’s, the older boys do their own; I clean the loo every day and the bathroom basin; my second oldest son vacuums every night….just under the dining table and main thoroughfares; my eldest son folds and puts away any towels; the boys all unload their lunchboxes and I make fresh lunches for the next day; the boys organise any gear they need for activities like swimming the next day; beds are made each morning by whomever slept in them; and I always wipe out the sink a few times a day….Oh my…. I do more than I realised…!! Your days in Japan sound like mine here in China. 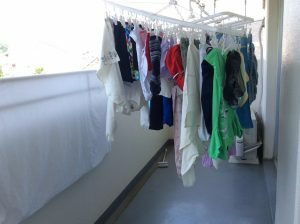 We also have no water and it is difficult to get clothes dry during the winter or the rainy season. I clean the drain traps at night before bed rather than in the morning. We also go to market frequently, but since it is only my husband and I, only every other day. Wow. That was a really cool description of the laundry hanging everywhere available. LOL! Let’s see…washing the dishes (no dishwasher) (and even when we had one I felt like it was a waste of water & kind of lazy to wait until it was full again to wash the dishes after daily use. I would use it more if we had people over). So, washing dishes throughout the day. Sweeping the kitchen floor & main thoroughfare, cleaning the bathroom (just touch up daily & then thoroughly on weekends). laundry every 2 days (we have a dryer we can use now, but before I would wait until night time when toddler was asleep, to hang clothes in rooms with ceiling fans). Cooking every day, but my husband helps with this. Grocery shopping pretty much daily, for meats & produce. Milk, breads, frozen items, starches…we usually have enough space to keep enough for the week. There are weekly diaper & wipes runs. I don’t even have an idea how often we go. I know I need to go today, though. Then there is the toddler. LOL. The teenager does’ live with me anymore, so that’s that. I do not mind doing these chores…the majority of the time, that is. Sometimes, though, I feel like, if this is my job right now, as a stay-at-home mom, it’s like family members come and undo the work I have done, and I have to do it again. Whereas I don’t go to their job, or their school, and have them repeat their finished work. HAHAHAHAHA! You know? Wow. Sorry for such a long response & cheers to being a parent & a MOM!!!! Karyn I salute you for raising children…boys, who take care of their own things and help around the house. I think it’s easy to NOT do that because of how society typically is, but I believe in how good it is for them. 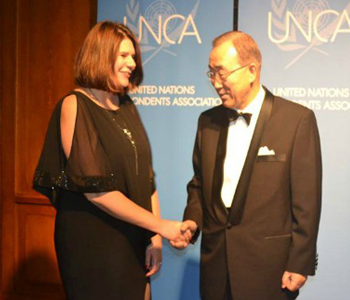 Interesting to see how daily life is at the other side of the world Melanie. I think we all, women, have to deal with chores, such as washing, cleaning, cooking and ironing. To be true in France more and more men are taking part in the routine, not all of them. But it’s very common to see men looking after kids, cooking or dealing with grocery shopping. It’s fair, as it’s time consuming and there are so many other things to do as part of this life. I try not to bother too much with everything. I deal with what I can and I leave the rest. Cooking is a choice I make. I love good food. Ironing has the power to destress me. When it comes to cleaning, once a week is enough. As a single mum, I rush through the important tasks. And then I try as much as possible to enjoy life. So interesting to read your description. I cook, clean dishes, and wipe down surfaces every day, multiple times a day. Mainly it’s work in the kitchen and adjoined dining space. Weekly chores are laundry, grocery shopping, bathroom cleaning, and dusting. We gave a dog that requires her own set of daily chores. It’s also Spring here, so outdoor/yard maintenance has picked up. I never get to cleaning my car. It’s gross.